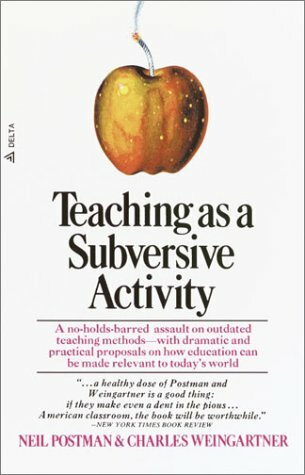 A no-holds-barred assault on outdated teaching methods--with dramatic and practical proposals on how education can be made relevant to today's world. good friend. Postman, who is married and has three children, currently is a professor of media ecology at New York University and editor of Et Cetera, the journal of general semantics. In addition to his books, he has contributed to various magazines and periodicals, including Atlantic and The Nation. He has also appeared on the television program Sunrise Semester. Postman is the holder of the Christian Lindback Award for Excellence in Teaching from New YorkUniversity.